If things are looking just a little bit differently here today I'll tell you why. Just simplifying things around here to serve you better! I am going to show you the mobile view today for all of you on your phone or tablet. First, there is a new navigation bar at the top of the page. 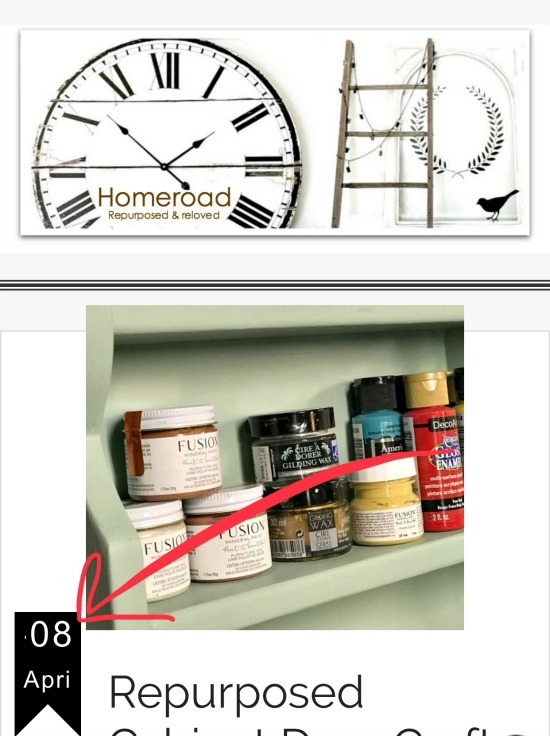 This allows you to click on the lines to find different sections of Homeroad. There is also a search box to search for your favorite projects. On this bar, you can also follow me on social media. 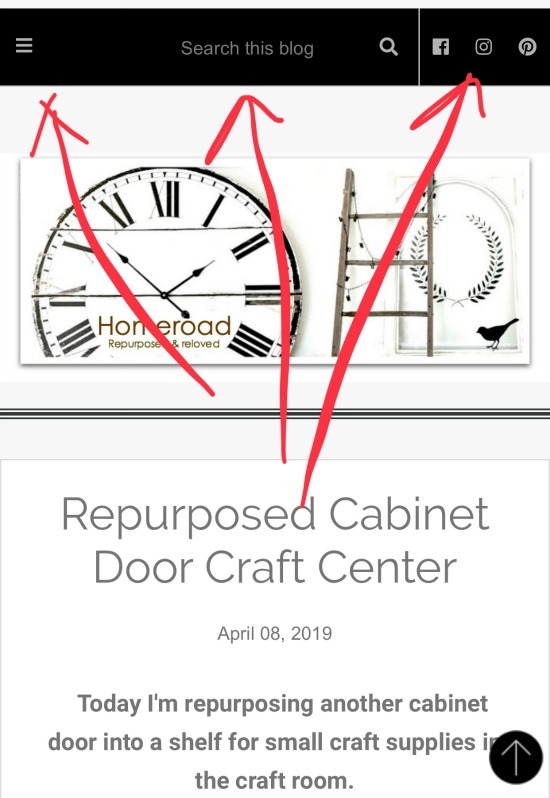 Next, you will notice I have added the dates to the Homeroad home page, this will help you, and me, find projects by date. 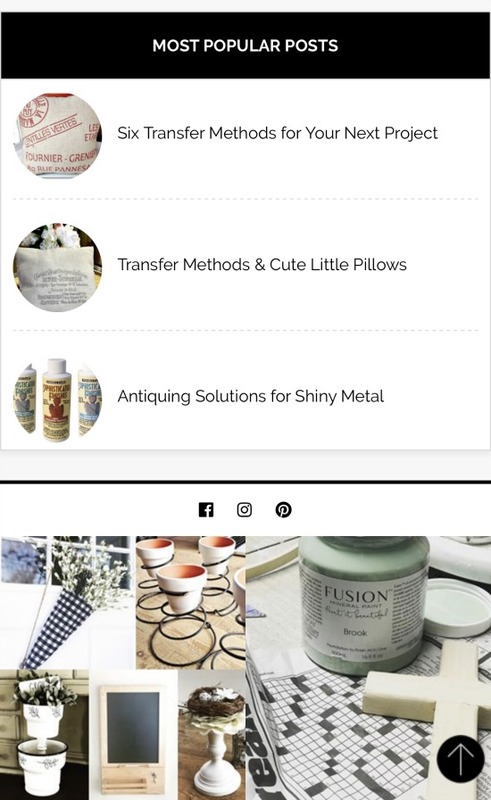 Now if you click on the project from the home page you will be taken to the DIY tutorials and photos about that post. Once you've read the project instructions keep scrolling. At the bottom, you will find a space to go left or right to view older or newer projects. There is also a clear spot to add a nice comment, I read them all and love hearing your comments and questions about my project. 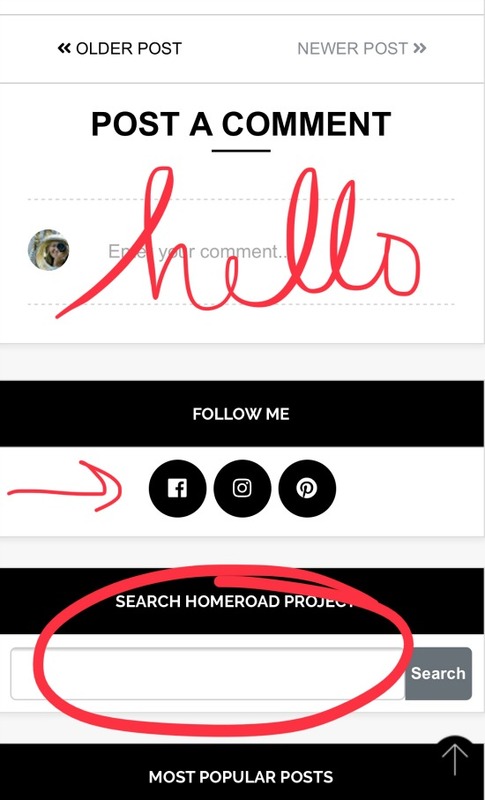 In this area, you can also follow Homeroad on social media or search for another related project. Keep scrolling down and you will find 3 of my most popular posts. Click on the titles and you will be taken to those instructions. Below this section is a carousel of my photos from Instagram. You can click on the photo and it will take you to my Instagram post. Keep on scrolling and you will find a little bit about me, a photo where I'm hiding behind the camera, and another section of related posts you can click on and be taken to the tutorial. You will find a "pin it" button in the corner of my photos so you can easily pin it to Pinterest to save for later! 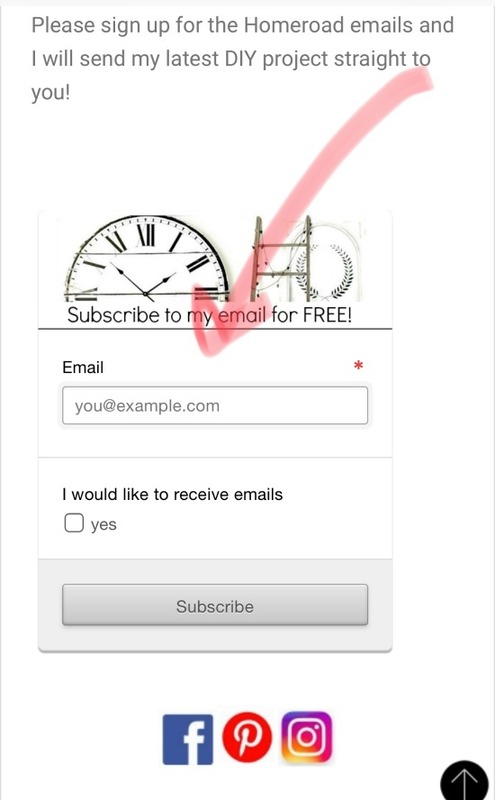 And finally, you will come across the box to subscribe to the Homeroad emails. I promise I will not spam you, I will just send you my latest DIY project by email every few days. As always thanks so much for following and sharing my Homeroad projects and I hope to be making them for years to come!